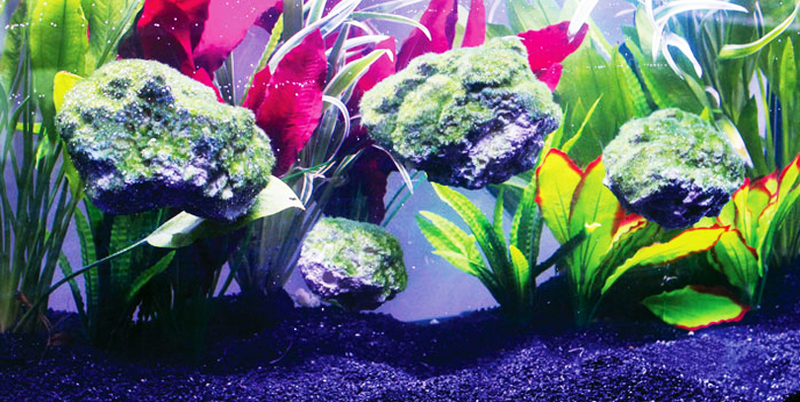 Aqua One's range of high quality, aquarium safe, floating ornaments add depth and realism to any aquarium and provide an ever changing environment to keep your fish stimulated. 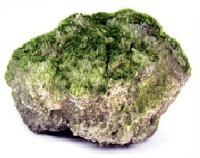 All Aqua One ornaments are non toxic and ideal for use in coldwater, tropical and marine setups alike. All Aqua One aquarium decor is comopletely safe in all aquarium environments, including tropical, marine and coldwater setups. 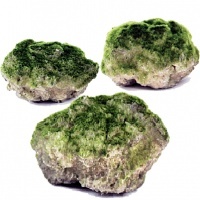 There's a huge range to choose from, including these amazing Floating Ornaments that have been designed to look like giant lava boulders, algae and fauna encrusted over thousands of years. We love them! Up, up and away in this beautiful, brightly coloured air balloon Fits even the smallest set ups. Complete with suction cup. This comical and friendly looking little goldfish (kinda!) will bring a smile to all aquarium viewers and can be guaranteed to amuse the younger members of the family. Complete with suction cup. The fun you can have with your very own floating sheep. This one is already wearing his snorkel. Complete with suction cup.